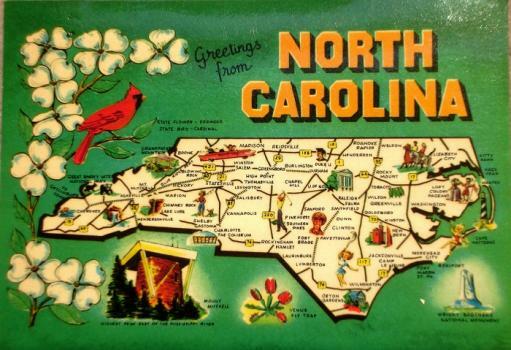 North Carolina has one of the most accommodating film commissions in the nation. Before January 2015, the North Carolina Film Office offered a 25 percent film incentive to productions. Today, the commission offers a grant program that rebates productions up to 25 percent of qualified expenses/purchases caped at $9 million for video television series per season, $5 million for feature films, and $250,000 for commercials. Thanks to programs such as this, North Carolina attracts productions of all kinds—including animated productions. In addition to the film and video industries, North Carolina animators work in advertising and public relations, computer systems design, software publishing, education and more. The state is home to hundreds of creative agencies and PR firms, as well as 100+ computer systems and design firms. Animators interested in teaching will find opportunities at many of the state’s 139 colleges and universities, as well as 2,600 plus elementary and secondary schools. North Carolina is home to 40,150 professionals working in Arts, Design, Entertainment, Sports, and Media occupations. Nearly 800 are salaried animators and multimedia artists. They average $60,800 per year, up from $57,190 in 2013 when the state was home to 950 multimedia artists and animators. The Bureau of Labor Statistics predicts that overall employment growth for animators and multimedia artists will average six percent for the 2012-2022 decade. This means that the industry will see 4,300 new jobs in the coming years. It is also important to note that individual salaries will vary by education, experience, industry, location and more. For example, the states with the highest employment levels for animators and multimedia artists are California, New York, Washington, Texas, and Georgia. Further, the Raleigh-Cary, NC Metropolitan Area has the ninth highest employment level for animators and multimedia artists, of the nation’s top 10 metro areas for this occupation, and the fourth highest concentration of jobs and location quotients. However, although the population is not as high, the Winston-Salem, NC Metropolitan area has the ninth highest average salary for this occupation (among the top 10 highest paying metro areas) at $75,700 per year. Although employment opportunities are available in many cities throughout the state, North Carolina’s largest cities may have a bit more to offer. Charlotte, Raleigh, Greensboro, Winston-Salem, Durham, Fayetteville, and Cary are the state’s top seven largest cities. Although not as large as these cities, the North Carolina Film Office says that artsy Asheville is also a great place for productions. In addition to offering everything from a BA in Art + Design: Animation + Interactive Media to an MA or MFA in Animation, a number of these North Carolina schools offer one-year animation programs that lead to an animation certificate, enrichment courses, or other non-degree animation programs.